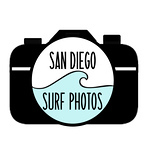 Welcome to San Diego Surf Photos! Here you'll find all the latest galleries from our public surf photo shoot sessions at local beaches in San Diego County, California. We take photos daily so be sure to browse our galleries which are easily navigated by location and date to view your very best surfing moments. If you'd like to book a personal surf photo shoot, please feel free to drop us an email sandiegosurfphotos@gmail.com. To find out where we'll be taking photos locally for our public sessions, where we take photos of the entire lineup and post them here on our galleries for you to purchase as single images or entire gallery downloads or prints - follow us on any of our social media channels for updates.